This week’s biggest releases include Shazam! and Pet Sematary, but the great news is that there’s one under the radar flick that, while appealing to the whole family, is also a refreshingly uncompromising story. 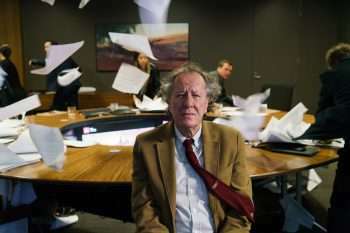 Storm Boy centers on Michael Kingley (Geoffrey Rush), a retired businessman who is about to sign off on a high profit deal that could be disruptive to the environment. The meat of the narrative centers on Kingley’s youth (Finn Little plays the younger version). For a brief spell Kingley raised three orphaned pelicans with the help of his dad (Jai Courtney) and a close friend (David Gulpilil, best known for his work in the seminal feature Walkabout). As Kingley relates this childhood story to his granddaughter (Morgana Davies), he ultimately realizes that the past really never left him. Storm Boy is just one of the films that are covered on this month’s episode of CinemAddicts, as we also discuss Kent Jones’ excellent directing debut Diane and the latest Mel Gibson feature Dragged Across Concrete. Take a listen below to the latest installment of CinemAddicts and tell us what you think! Storm Boy hits theaters April 5.